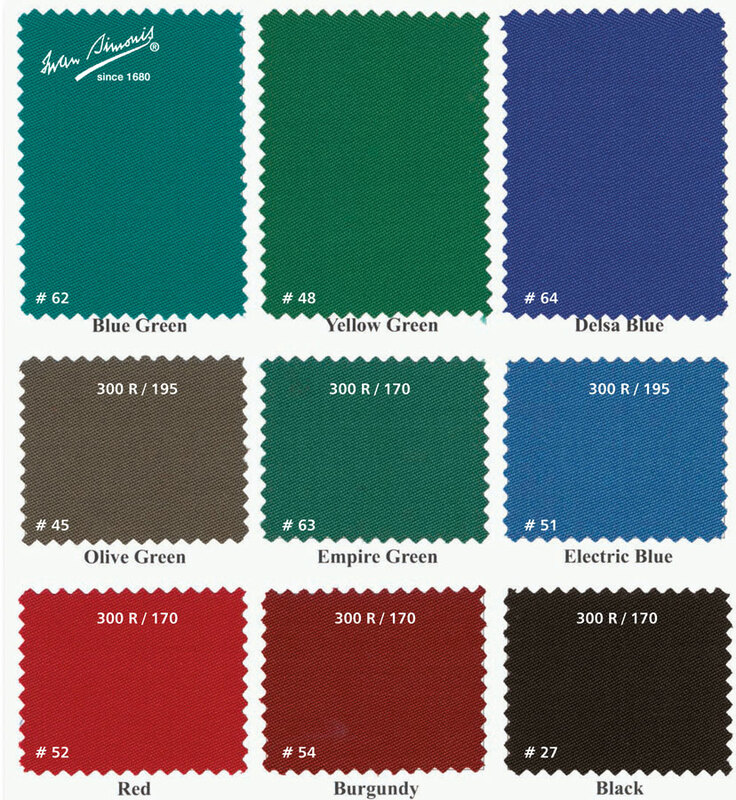 SIMONIS™ cloth provides superior accuracy and consistency and this is what you want on your table. It is the perfect choice for your Billiard hall or Home table. SIMONIS™ cloth is very different from the fuzzy "felt" that is still used in the industry. The cloth is woven and precisely sheared to avoid affecting the roll of the balls and you can readily see the weave of our cloth. Exclusively for cushions, Simonis PreciShot® !